Below are the contents of the latest issue of Mobilization: the December special issue on nonviolence and social movements, Sharon Erickson Nepstad, guest editor. To submit a paper, European authors should send their blinded manuscript along with a separate cover page with author contact details to Marco Giugni marco.giugni@unige.ch. Studies of nonviolence give insights to issues that are central to the study of contentious politics. In democracies, most protest movements take nonviolent tactics for granted. In nondemocracies, nonviolent resistance is an effective strategy to challenge the state. Nepstad’s article traces the development of nonviolence research and its often-regretful separation from social movement research. Her thoughtful review of the main findings of nonviolence research, especially regarding the strategy-outcomes relationship, makes this article essential reading. It is common that antiregime resistance movements have violent radical flanks. This important contribution analyzes the effects of armed wings on nonviolent movements using a data on 106 antiregime campaigns. Significantly, it finds that radical flanks reduce the chances of movement success. The authors then closely analyze two paired comparisons: Burma and Philippines, and early and late antiapartheid mobilizations in South Africa. Fine-grained comparisons show complex causal paths, but conclude that violent flanks rarely determine movement success. Lawson analyzes the Arab Spring protest wave, finding that “timing is everything” when outcomes are considered within the broad protest cycle. His comparisons further situate movements in their global context by showing that international dynamics were the precipitant causes. As the wave developed, movement organization and use of communication technologies mobilized participants, but also elite control of security forces—the “deep state”—and its learning curve of effective repressive responses proved to be a counterweight for later movements. Impressive in the scope of its comparisons, this article analyzes opposition movements in the national republics of the former USSR. The authors suggest that tactical choices are taken as activists articulate initial antiregime claims in the context of their available resources. They find that violent tactics are associated with structural dimensions of resource availability, such as economic development, urbanization, and state capacity. Nonviolent tactics are more likely in urbanized developed states, which have better prospects for mass mobilization and poor prospects for covert action. In another comparative study, Schock compares the Brazilian MST with the Indian Ekta Parishad movement to show how activists draw upon constitutional principles and laws to pursue civil resistance. This strategy parallels O’Brien’s concept of rightful resistance, except that these movements occur in democracies not authoritarian China. The “radical” elements of this strategy, as indicated in the title, reflect adaptations to entrenched power structures in Brazil and India. Actual tactics vary by culture, geography, and demography in each country. Chabot and Vinthagen argue that civil resistance research often ignores struggles seeking to subvert the liberal world system—as opposed to joining it. They examine two classic decolonizing thinkers (Gandhi and Fanon) and two contemporary decolonizing struggles (the Zapatistas in Mexico and the Abahlali in South Africa). Each case emphasizes coloniality, constructive over contentious resistance, transformations in political subjectivity, and emancipatory visions that go beyond Western ideals. This article is a study in the sociology of knowledge that explains why nonviolence research receives less scholarly attention and financial support compared to military research and studies of conventional politics. Martin explores misconceptions about nonviolence research, why so much of it is oriented to challenging regimes, and its connection to nonviolent practice. He concludes by emphasizing the value of studying agency and strategy, and of the insights gained by being involved in the movements being studied. From consumer boycotts and buycotts to social movement campaigns, examples of individual and collective actors forging political struggles on markets are manifold. The clothing market has been a privileged site for such contention, with global clothing brands and retailers being targets of consumer mobilization for the past 20 years. 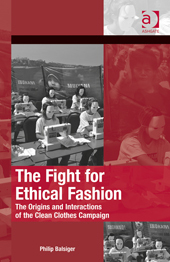 Labels and product lines now attest for the ethical quality of clothes, which has, in turn, given rise to ethical fashion. Drawing on insights from qualitative fieldwork using a wide range of empirical sources, Philip Balsiger traces the emergence of this campaign back to the rise of ‘consumer campaigns’ and shows how tactics were adapted to market contexts in order to have retailers adopt and monitor codes of conduct. By comparing the interactions between campaigners and their corporate targets in Switzerland and France (two countries with a very different history of consumer mobilization for political issues), this ground-breaking book also reveals how one campaign can provoke contrasting reactions and forms of market change. Contents: Preface; Introduction: contentious markets; The rise of consumer campaigns; Launching a campaign; Building a campaign; Campaign styles and protest in the market place; Campaigning over time; Strategic interactions and campaign outcomes; Conclusion: contention, consumers, and corporations; References; Index. This volume addresses issues of modern globalized development posing a question whether it symbolizes progress or regress for world’s societies. Papers focus on economic and political issues experienced by countries at this time of rapid diffusion of democracy and of the global market economy. A range of pertinent political issues are discussed, such as international migration, environmental protection and green energy, human rights, tolerance and equality, and economic justice. The concluding chapter provides a summary of presented topics in form of a discussion forum on outcomes of global development. Power is the central organizing principle of all social life, from culture and education to stratification and taste. And there is no more prominent name in the analysis of power than that of noted sociologist Pierre Bourdieu. Throughout his career, Bourdieu challenged the commonly held view that symbolic power—the power to dominate—is solely symbolic. He emphasized that symbolic power helps create and maintain social hierarchies, which form the very bedrock of political life. By the time of his death in 2002, Bourdieu had become a leading public intellectual, and his argument about the more subtle and influential ways that cultural resources and symbolic categories prevail in power arrangements and practices had gained broad recognition. 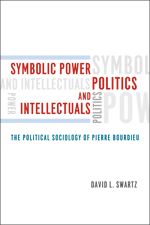 In Symbolic Power, Politics, and Intellectuals, David L. Swartz delves deeply into Bourdieu’s work to show how central—but often overlooked—power and politics are to an understanding of sociology. Arguing that power and politics stand at the core of Bourdieu’s sociology, Swartz illuminates Bourdieu’s political project for the social sciences, as well as Bourdieu’s own political activism, explaining how sociology is not just science but also a crucial form of political engagement. 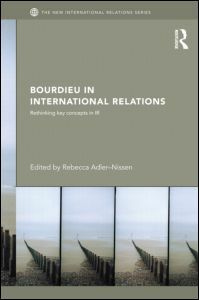 This book rethinks the key concepts of International Relations by drawing on the work of Pierre Bourdieu. The last few years have seen a genuine wave of publications promoting sociology in international relations. Scholars have suggested that Bourdieu’s vocabulary can be applied to study security, diplomacy, migration and global environmental politics. Yet we still lack a systematic and accessible analysis of what Bourdieu-inspired IR might look like. This book provides the answer. It offers an introduction to Bourdieu’s thinking to a wider IR audience, challenges key assumptions, which currently structure IR scholarship – and provides an original, theoretical restatement of some of the core concepts in the field. The book brings together a select group of leading IR scholars who draw on both theoretical and empirical insights from Bourdieu. Each chapter covers one central concept in IR: Methodology, Knowledge, Power, Strategy, Security, Culture, Gender, Norms, Sovereignty and Integration. The chapters demonstrate how these concepts can be reinterpreted and used in new ways when exposed to Bourdieusian logic. This volume presents cutting-edge, theoretically ambitious studies in political sociology by first-rate European scholars that deal with some of the major challenges European societies and politics are facing. These have to do with globalisation and complex Europeanisation, which have contributed to restructuring the European nation-state and redefining political power. Accounting for these transformations requires revisiting traditional objects of political science such as state sovereignty, civil society and citizenship. While doing this, the studies of this volume join sophisticated empirical analyses with methodological and conceptual innovations such as field theory, multiple correspondence analysis and the study of space sets. Combining qualitative and quantitative research techniques and macro- and micro-levels, they have in common a contextual analysis of politics through scrutiny of configurations of groups, representations and perceptions in an increasingly transnational space. 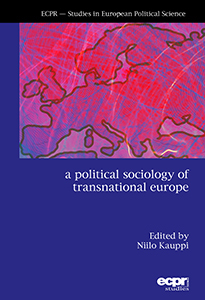 A transnational perspective that seeks to avoid methodological nationalism is present in all the studies of this volume. 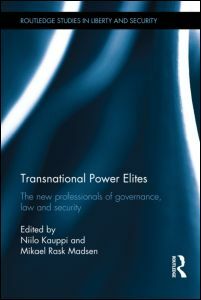 Transnational Power Elites. The new professionals of governance, law and security. The latest issue of International Political Sociology (5,3) is dedicated to Bourdieu and the international.